* How do I get my Form W-2? * How much does it cost to have my taxes prepared? * How quickly can I get money back? * What if I have more than 10 questions? * What other types of refund options do you offer? * What is a Refund Anticipation Loan and how does it work? Q: How do I get my Form W-2? A: Your employer is required to mail your completed Form W-2 (copies B, C, and 2) showing your compensation and tax withholding amounts for the calendar year by January 31. If you do not receive your W-2 by January 31, contact your employer to confirm your address and find out when the form was mailed. If you have not received your W-2 by February 15, then call the IRS at 1-800-829-1040. A representative will complete a W-2 complaint on Form 4598, Form W-2, or 1099 Not Received or Incorrect. Q: How much does it cost to have my taxes prepared? 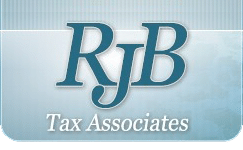 A: The cost of tax preparation is based upon the complexity of your tax return. To learn more or to request a pricing quote, please contact me and you will get a response promptly. Q: How quickly can I get money back? A: When you file electronically, you can receive your refund directly from the IRS by direct deposit in approximately 8 to 15 days. You can also choose to have the IRS mail you a check in approximately 21 to 28 days. Q: What other types of refund options do you offer? Q: What is a Refund Anticipation Loan and how does it work? *Subject to credit approval and other qualifications. Amount received may be reduced by debt owed for a prior RAL. Those who e-file with direct deposit without taking a RAL typically receive their federal income tax refund in 8-15 days.